About Us | Mikuro Spring A manufacturer of fine springs based in Suwa, Japan. Quality is the corner stone of everything. Mikuro Spring Co., Ltd. wants to live up to expectations of all stakeholders. Quality, not only of products but also of each job and service, must be the first priority to meet the expectations. Keeping high quality enables eliminating waste, cutting costs and having more time to spare. It also enables providing better services and more competitive pricing. We strongly believe making the company strong leads to high job satisfaction and good welfare of workers. Life is not enjoyable if workplace is not so. Mikuro Spring was founded on 1954, starting with manufacturing of springs for cameras. As the society grew, we expanded our markets, and now, our springs are successfully used in a variety of applications worldwide, such as electrical devices, automotive parts, medical devices, etc. We have overseas locations in Shanghai, Dalian and Malaysia, with 600 employees as a group. Added value is not created by doing the same things as other. We have been specializing in making high quality precision springs that no others can make, and have brushed up on our skills and technologies. We have the top share in this spring, domestically and internationally. In the future, our business fields will probably shift from “something convenient” to “something necessary”. In medical field, especially, fine springs are expected to play an important role. We always give weight to originality even more than efficiency, hence we self-develop production equipment. We will continue to produce our original products that on others can copy. Life isn’t enjoyable when workplace isn’t enjoyable. I’d like our employees to think that way. No need to distinguish employees from employers, as we are all colleagues who strive together. We are a worldwide team and a family, members of which flourish at each location in the world. 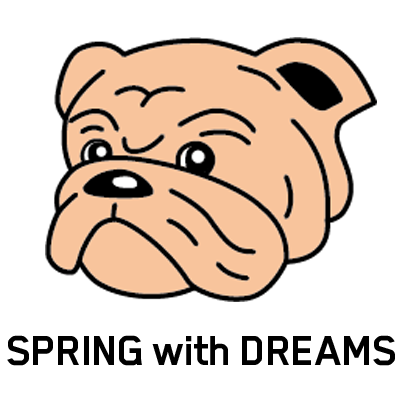 Takuya Kojima, President, Mikuro Spring Co., Ltd.
Our mascot is bulldog. It’s stumpy legged and has a bad figure, but stands firmly on the ground with four limbs and never lets go of whatever it’s once bit into. Unlike a smart Doberman, it’s clumsy but gets back up after failures. Such a bulldog matches our culture of accomplishing something no one has ever done before. Wording “Spring with dreams” is printed under the logo. That you are happy working, or not, depends on whether or not you have a dream for your future. The bulldog represents our dreams which we all share. 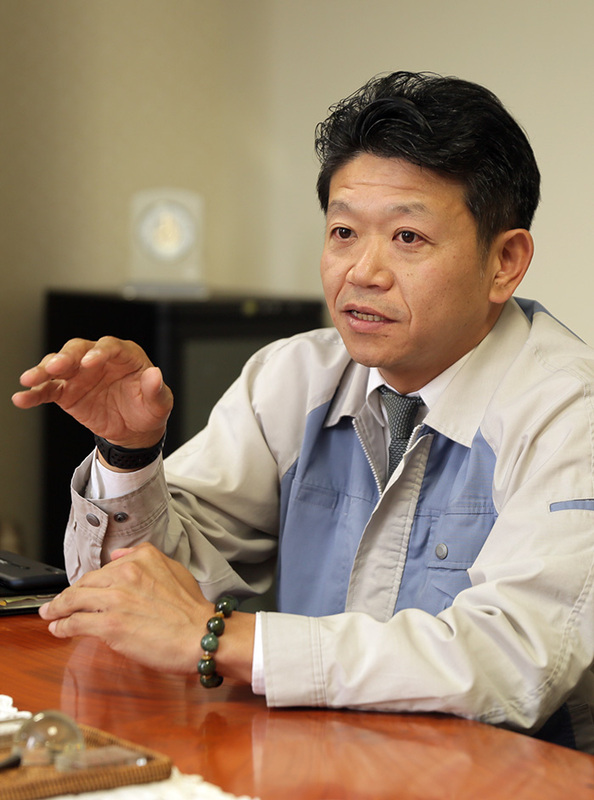 Reorganized as Mikuro Spring Co., Ltd.
Yoshizo Kojima steps down, Masaya Kojima becomes president. Fourth reconstruction – reconstruction of PC Centre, R&D room and office.